Yasnaya Polyana, the home of Leo Tolstoy located in the Tula Region, about 120 miles south of Moscow, attracted pilgrims even when the author was still alive. A supporter of fancy inventions and new experiences, Tolstoy transformed his estate into a temple for all that was modern. But the writer still remains a trendsetter in the truest sense of the word. 1. Vegetarianism. In a 1908 interview with the American magazine Good Health, Tolstoy revealed that he had become a vegetarian around 1883. In 1893, he wrote “The First Stage,” an influential work that became a handbook to the first generation of Russian vegetarians. 2. Going normcore. Eager to overcome class differences, Tolstoy abandoned the dress code of the Russian nobility. While he did not manage to launch a new trend, he did foresee fashion becoming more casual over the years. Convinced that writing was a “meaningless” endeavor, Tolstoy once said he wanted to get a “real” job and learn shoemaking. 3. Biking and fitness. In 1895, the Moscow Cyclists' Society honored the author with a truly lavish gift – a Rover bicycle. So, at age 67, he became the “face” of 19th century Russian sports fashion and taught his children how to ride a bike. Tolstoy's hobbies also included speed walking, gymnastics, swimming, horseback riding and jogging. The writer strove to demonstrate that the popular image of the weak intellectual, who was not able to lift anything heavier than a book, was a thing of the past. 4. Gadgets. The first recording of Tolstoy's voice was made in 1895 in the house of Yuly Blok, a pioneer of sound recording. Thirteen years later, the author got his own phonograph, given to him by none other than its inventor, Thomas Edison. Included with the device was a note in which Edison asked Tolstoy to make separate recordings for the non-Russian public. After Tolstoy's death, recordings featuring his voice were rereleased, with the total number of copies in circulation reaching a whopping 100,000. 5. Promoting 'alternative education' for children. A school for peasant children opened in Yasnaya Polyana in 1859. Education at the school was based on one principle – the absence of any constraints. Lessons, some of which were taught by Tolstoy himself, did not have any standard duration, homework was not compulsory and the main priority was to encourage the children to think independently. 6. Workshops. Apart from the children of his serfs, Tolstoy's educational ambitions also involved his own family. Each summer, when the Kuzminsky family, friends of the Tolstoys, came to stay in Yasnaya Polyana, members of both families spent a week writing anonymous poems, articles and stories on various topics of the day. They would place the works in a special mailbox and on Sunday Tolstoy opened the box and held a public reading where everybody would discuss what they had written during the week. 7. Targeted charity. Tolstoy did not like to give out alms. Instead, he preferred to find out the source of people's problems and deal with them directly – either by giving them the things they needed or by lending a hand with some task, be it fixing up a stove, repairing a shed or helping with the harvest. 8. BookCrossing. By 1910 Tolstoy's personal library had 22,000 periodicals and volumes, the oldest of which was printed in 1613. The task of keeping the library in order was entrusted to Sofia Andreyevna, the author's wife. As Tolstoy rejected the idea of personal ownership, his guests were free to take any book they liked. 9. Selfies. Just like his contemporaries, Tolstoy was swept up by the photography fad of the 1860s. He owned several cameras and in 1862 he even made what could be best described as a prototype for the selfie. Despite the fact that he liked portraits more, it was photojournalism that he considered the most promising kind of photography. 10. Downshifting.Those consciously choosing to live simpler lives have always been respected in Russia. However, the level of downshifting that the author took on his final journey was unprecedented. The “holy fool” that wanders the countryside has always been a fixture in Russian literature, but Tolstoy took things to a new level. Full version (in Russian) is available at Kommersant. 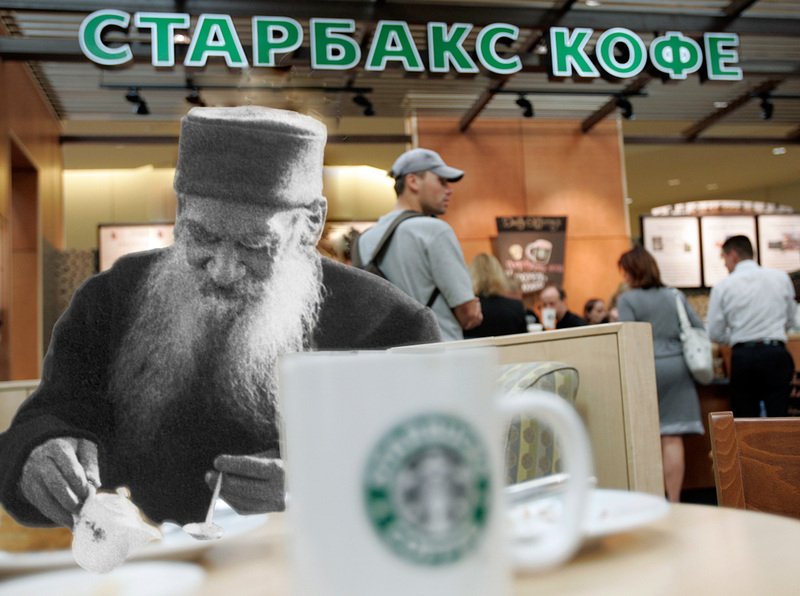 Why did the elderly Leo Tolstoy flee his home?